Here are the Nominees for the 2016 Orvis Endorsed Awards! 2015 Endorsed Fly Fishing Guide of the Year (West): Chuck Page, of Big Hole Lodge, Wise River, Montana. 2015 Endorsed Fly Fishing Guide of the Year (East): Brown Hobson, based in Asheville, North Carolina. 2008 Endorsed Fly Fishing Guide of the Year: Capt. Steve Horowitz, based in Key Biscayne, Florida. Tim Linehan—owner of Linehan Outfitting Co. in Troy, Montana—shares his water with his hunting partner. 2015 Endorsed Fly Fishing Lodge of the Year: Madison Valley Ranch, Ennis, Montana. 2015 Endorsed Wingshooting Lodge of the Year: Greystone Castle, Mingus, Texas. 2015 Endorsed Outfitter of the Year: North Park Anglers, Walden, Colorado. 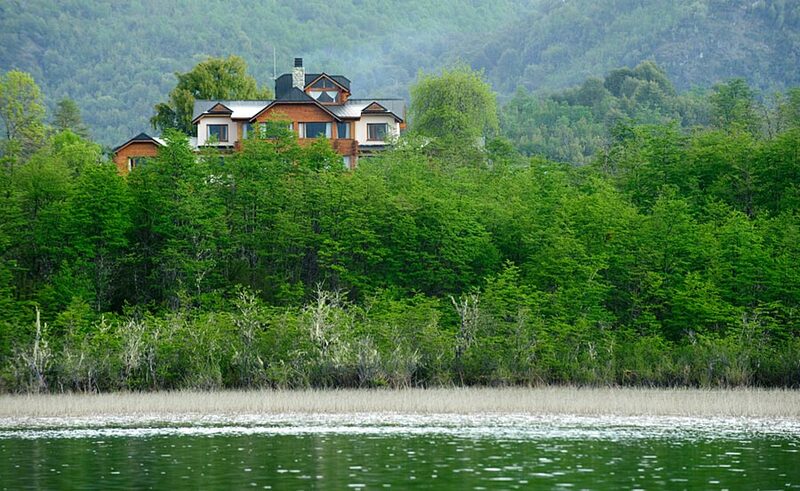 2015 International Destination of the Year, Rio Manso Lodge, of Argentina. With more than 525 independent retailers in the U.S. and another 250 around the world, the competition is tough. Alvin Dedeaux, for lots of reasons. He’s a pleasure to guide with, a professional on the water and a knowledgeable guide on a variety of different waters. Michael Salomone, Orvis Endorsed Guide since 2002. Alvin is a joy to fish with and is someone who knows and respects his waters. Oh gosh, Alvin Dedeaux for lots of reasons. His professionalism, creativity, patience, and just a joy to work with. Alvin is a professional through and through. Way to go Linehan Outfitting Company!! You guys do such a great job, best of luck!! Well I would have to vote for Rob Fightmaster. Rob’s knowledge of the GSMNP is second to none and if the judging was just on his lunches well move over guys! If I had a vote it would be for Big Hole Lodge as Lodge of the Year. It’s a wonderful place that has it all…comfortable lodging, fabulous food, excellent guides and some of the best fishing water in the USA. I’d also be voting for Craig Fellin for the Lifetime Achievement Award. He’s the owner of the lodge and has produced excellence for over 30 years! I want to cast a vote for Craig Fellin for the life achievement award. Craig has dedicated a lifetime to fishing with a purpose. The purpose being enjoying a noble sport while being vigilant about the conservation and preservation of native species and their habitat. He is the ambassador between land owners and conservation efforts. He brings a degree of passion and common sense to preserve the water and the sport we all love. Finally! Craig Fellin and the Big Hole Lodge are getting the recognition they deserve! I have been going to the Big Hole Lodge twice a year for 10 years. I have recently upped it to 3 times per year. Such a well run lodge with a great variety of fishing. They are always looking for new experiences for their anglers. This lodge and their guides make a great atmosphere for women and families of every skill level. I have recommended this lodge to many new, as well as experienced, anglers and everyone one has returned. Now that is an endorsement! Craig Fellin is an old fashioned purest angler and guide. It is a wonderful experience to spend a day with him. He teaches fish behavior as well as how best to care for a fish who has come to play. This is not a lost art with Craig. I feel so fortunate that I have learned so much fro Craig. I look forward to more old fashioned purest education every year. This man deserves a lifetime achievement award! Craig Fellin AND the Big Hole Lodge — outstanding and deserving of Orvis’ recognition!! Returning each year to the Big Hole Lodge to fish the amazing waters with outstanding guides; Craig always working hard to make the fishing and Lodge experience with his great staff the best possible — the highlight of my year! Love sharing all kinds of stories about Craig Fellin and the Big Hole Lodge from many, many trips there. Looking forward to more great food, great friends and great fishing again this summer. I would vote for Rob Fightmaster an outstanding guide from Maryville Tennesse. Rob Fightmaster is deserving of recognition as the best Orvis fishing guide given his diversity of skills,intellect, vast experience,patience, publications,writing, teaching and coaching fishing skills in a variety of contexts. He has established,maintained, and provided exceptional fishing environments throughout North America. 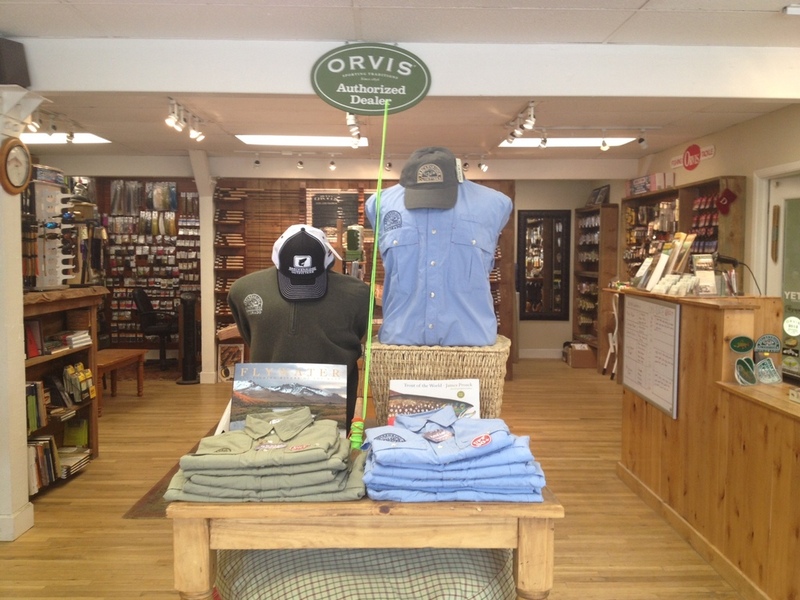 Rob consistently demonstrates the high quality services , outcomes and patience that we expect from an Orvis endorsed experience. Rob Fightmaster gets my vote because he shares a theology of fishing each time he takes me to a stream or river.Regardless of the customers skills ,interests or aptitude for fishing Rob makes the experience one to be remembered. His gourmet packed lunches, fishing tutorials, and genuine personal commitment to the fishing experience keeps us returning each year. Rob Fightmaster gets my vote because he shares a theology of fishing each time he takes me to a stream or river.His gourmet packed lunches, fishing tutorials, and genuine personal commitment to the fishing experience keeps us returning each year. He works well with people and customer relations. The Big Hole Lodge of Craig Fellin is such a wonderful place to experience the joy and satisfaction of Fly-Fishing . On my three stays there, the food, lodging, guiding, and wide variety of fishing places were consistantly of the highest quality. With Craig at the head of the table,.meal times were always a treat of warm hospitality and rich conversation. The Lodge reflects the elegance and grace of the sport itself. It has my vote for Orvis Fly-Fishing Lodge of the Year. I would like to second the statement and vote of :Lea above for Craig Fellin for the Orvis Lifetime Achievement Award . His dedication to the sport of fly fishing is impressive. It has been deep, long, and significant. His Lodge is but one aspect of his assocition wih the sport. He has given a lifetime to serving the sport through his business, teaching and conservation efforts. If not recognized now — when ? Alvin Dedeaux, for sure. He runs a great guide service and he’s a great guy to fish with. Very knowledgeable and professional. Congratulations to Captain Randy AG Matis for winning Wingshooting Guide of the Year! Randy, and all associated with Classic Bird Hunts – people, dogs, and coverts – are fantastic.